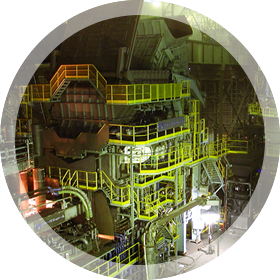 Construction has been completed for the environmentally conscious high-efficiency arc furnace “ECOARC™”, and it was successfully demonstrated at UMC Metals Ltd. in Thailand. This project was entrusted to JP Steel Plantech Co. by the New Energy and Industrial Technology Development Organization (NEDO) and was for UMC Metals in Thailand. In accordance with the completion of construction, the inauguration ceremony was held at UMC Metals Chonburi Works on February 6, 2013. From the Thai side, the ceremony was attended by Vice Minister Mr. Piyawat Niyomrerks (Ministry of Industry), Director General Mr. Sophon Pholprasit (Department of Industrial Promotion), Managing Director Mr. Wikrom Vajragupta, (Iron and Steel Institute of Thailand), Deputy Managing Director Mr. Joe Ein, (UMC Metals), and other related persons. Guests from the Japanese side included Executive Director Mr. Fumio Ueda (NEDO), President Mr. Yoshiyuki Fujiwara (JP Steel Plantech) and other related persons. On the same day, a dissemination seminar was held to report on how the ECOARC™ has performed since its hot-run at the end of November 2012, and lively discussions were conducted. 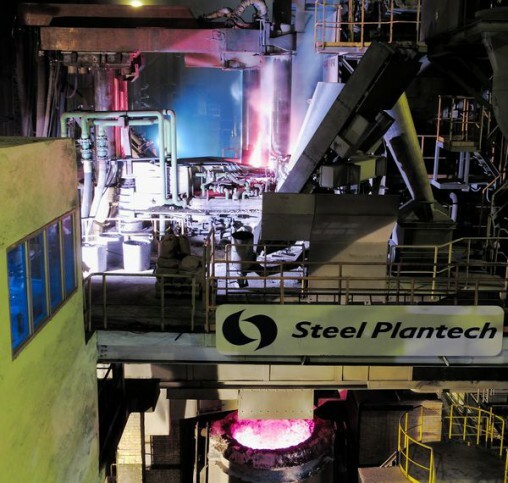 Major steel producers in Thailand and other related persons attended the seminar, and UMC Metals and JP Steel Plantech made the latest report on ECOARC™ operation results, saying that within the two short months after its hot-run, it achieved energy-saving of approximately 30% (compared to existing conventional arc furnaces) and reduced CO2 emissions. The ECOARC™’s performance and the advanced technology and skills of UMC Metals and JP Steel Plantech Co. received accolades from the seminar guests.